When it comes to fashion, Leanne and I have always had such different styles, she undeniably has a much edgier and cool disposition than myself. Growing up, I was often caught raiding her closet for something out of my ordinary to wear. I loved having two completely different closets of options to choose from, although I don’t think she felt the same way. 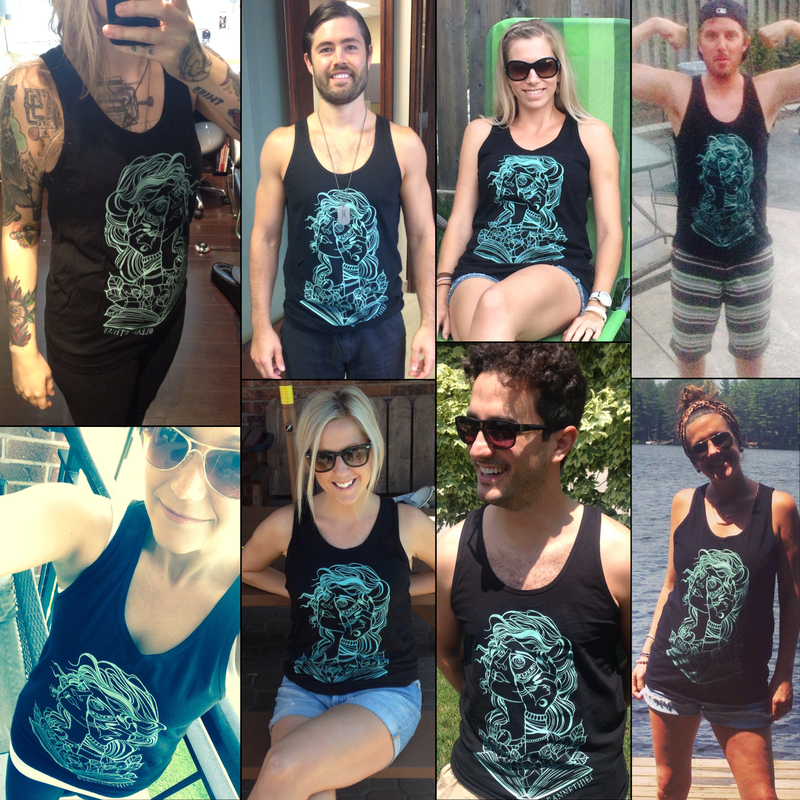 When Leanne showed me the tanks and t-shirts, I knew she hit it head on! This was now my way of borrowing something of hers, a country apart. She killed it with her first design launch, I couldn’t wait to get my hands on one and I knew that I wouldn’t be alone. What she had created was what I and so many others are constantly out on the look for. Something new, something cool, and something different! As soon as I posted to social media, there was an instant buzz from friends wanting to get their hands on one. That’s when I knew this wouldn’t be the last of THIEF designs. Stay tuned for future tanks and tees. If you are interested, get at me- tanks are $30, tee’s $20 (+shipping). Take a look at how bomb these friends look!